After over forty years of traveling the world, I have tested and tried many different travel products. Over the years, I have continually added to my collection of products that I routinely use on every trip. It is my belief that using quality products makes your solo trip less stressful and more enjoyable. Now, we at Astrid Solo Travel Advisor are pleased to share these superior products with you. AstridTravel Essentials are smart products for the smart traveler. Click on an image to shop! Disclaimer: Some of these images might contain affiliate links which means that if you purchase a product through an affiliate link, Astrid Solo Travel Advisor receives a commission. This comes at no additional cost to you, and it helps keep this website running, and full of free ideas and tips! I love this travel wallet because it can hold so many things. It has room for your passport, boarding pass, 3 credit cards, an I.D., cellphone, cash and change. It even has a spot for a pen - which is important to have while traveling! It is made of PU leather and is RFID blocking! Part cell-phone case, part cross-body purse! This phone cases by Bandolier is designed to fit iPhones only. I use my Bandolier all the time, but especially if you intend to use this case for travel, I recommend buying one with a chain strap, as leather straps are more susceptible to be slashed and stolen. 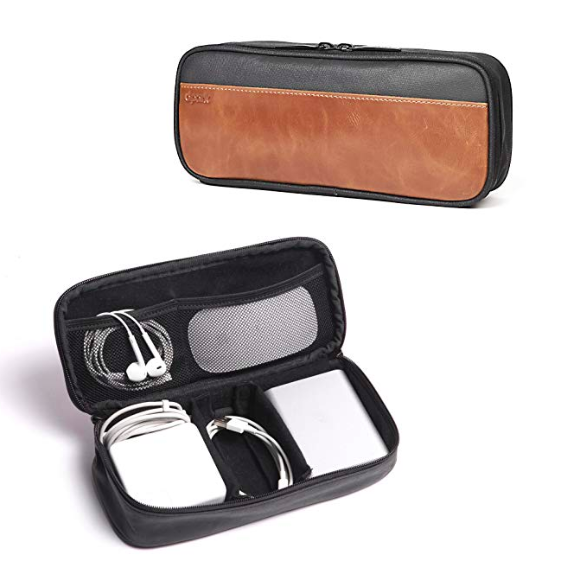 Features two precision cut slots in back to hold credit card and driver's license. This is a slim waist pack, not a bulky fanny pack, yet it is very spacious with plenty of space for your travel essentials. 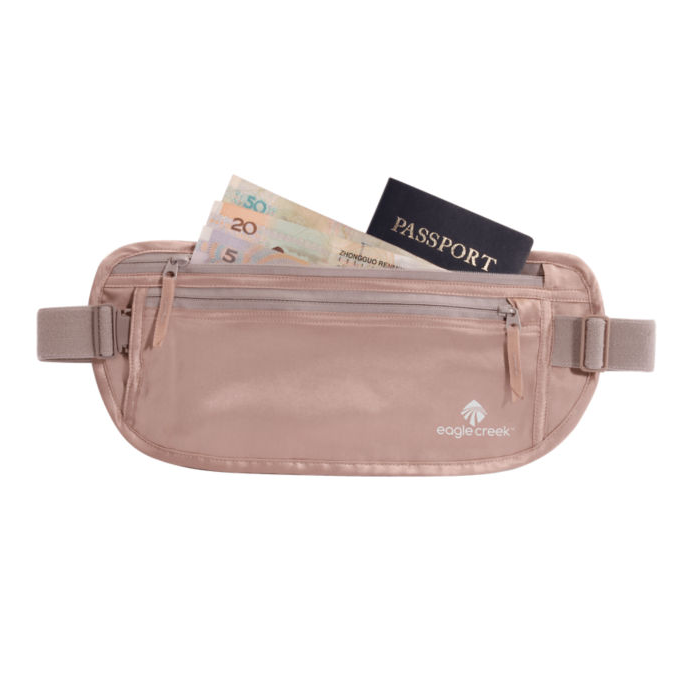 A money belt is a safe way to store extra cash and your passport. If you do need to reach into your money belt, do so someplace discrete or private. The idea is to not let anyone know it is there. This pouch is made of canvas and PU leather. The interior is made of soft felt-like fabric which prevents scratches. HASSLE FREE PACKING/UNPACKING – Packing, unpacking and repacking a suitcase is one of the most annoying & often frustrating experiences for a traveler, and everyone of us! Travel Packing Cubes significantly reduce clutter/hassle by helping you organize better. Keep shirts separated from pants, and clean clothes separated from dirty, you decide how you want to organize. Just know that these things are a game changer! This leather, roll-up jewelry case by Mark and Graham is the perfect design for organizing your jewelry. It keeps necklaces from getting tangled, your earrings together in one spot, and anything else secured in zipped pouches. The rolled design conserves space, making this an easy item to toss into your luggage, carry-on or purse without worry. As an added bonus, you can even personalize this by adding a sleek monogram! Keep your smallest valuables safe, secure, and neatly organized while you're on-the-go in this Bagsmart Jewelry Case. This compact jewelry organizer is nice for when you need to carry a fair amount of jewelry with you on your travels. Keep track of all your belongings by staying organized with products like this. Easy to carry and store, a luggage scale is an absolute must for me. I tend to overpack, so I like to be sure of whether or not my bag will make it onto the plane without outrageous fees. This digital luggage scale is easy to use, lightweight and worth every penny it might save you at the airport. These “Blockout Shades” by Bucky provide total darkness and the ultimate relaxation. The soft foam contours around your nose and eye sockets for gentle comfort that stimulates deep. This eye mask also comes with reusable earplugs which fit securely into convenient velcro pockets on the adjustable elastic headband. This sleep mask, also by Bucky, is called the “40 Blinks Sleep Mask” because its convex shape leaves room between the mask and your eye - meaning there is no pressure on your eye and room to blink. When I first came across this mask, I couldn’t help but laugh at its description as a “bra for your eyes” which is exactly how it looks. However, this lightweight mask ensures that you won’t smudge your mascara. It eliminates ambient light, making it perfect for both short naps and deep sleep. Moo is a company that specializes in specialty, high-quality business cards and other printed products. The material they use in unbelievably soft and smooth. I recently discovered that they are making lightweight, silky smooth journals and though I have yet to purchase one, I am eager to get my hands on one! You have never felt paper this luxurious. This journal is easy to toss in your purse or carry on and perfect to have with you at all times to write down any fleeting thoughts and observations. This journal is made by Ciak, and Italian company that creates all of its products, start to finish, in Florence. This journal uses recycled leather and acid-free, lined paper. It’s flexible and durable, and another great journal to throw into any bag and take along with you on all of your travels. A travel adapter simply allows you to plug your US devices into another country’s wall outlet. This travel adapter has 4 international plug adapters and covers more than 150 countries with EU, UK and US/AU plugs. It also includes 4 USB ports and can easily be used with any smartphone, tablet or computer. If you will be needing to plug in multiple devices, a power strip with multiple plugins is a very handy tool to have. This one also comes with 4 plug adapters, so it is not necessary to buy an additional adapter. Even if you bring all your chargers with you, you might be out of luck if your airplane seat as no USB port, or you can’t find a seat near an outlet at the airport. Prevent ever running out of battery by always carrying a portable charger with you when you travel! These durable luggage locks by Sure Lock are made of stainless steel, and the flexible cable lock means you can secure all kinds of luggage. These locks feature an easy, keyless combination and even include a button indicator that lets you know if TSA has inspected your luggage. Durable luggage is an absolute necessity when traveling alone. The last thing you need is a busted suitcase. I find that hard shell suitcases with 360° wheels are the most sturdy and maneuverable. I took my IT Luggage 3-piece set on an “Around the World” trip with me, and after being put to the ultimate test, I have found this brand to be excellent quality! Read my review here. If you intend to be consuming coffee on the go while traveling, consider investing in a reusable coffee cup. Most paper coffee cups are not recyclable because the insides are coated with a plastic polyethylene coating. This means that billions of coffee cups go into landfills every year. Do your part to combat the major waste problem in the world and try a reusable cup! You might think that glass water bottles can be a hassle to travel with, but bkr water bottles have been proven to withstand drops and crashes. Glass water bottles are better for the environment, and decrease your risk of exposure to harmful chemicals in (even reusable) plastic water bottles. The also do not effect the taste of your water as some metal reusable bottles can. 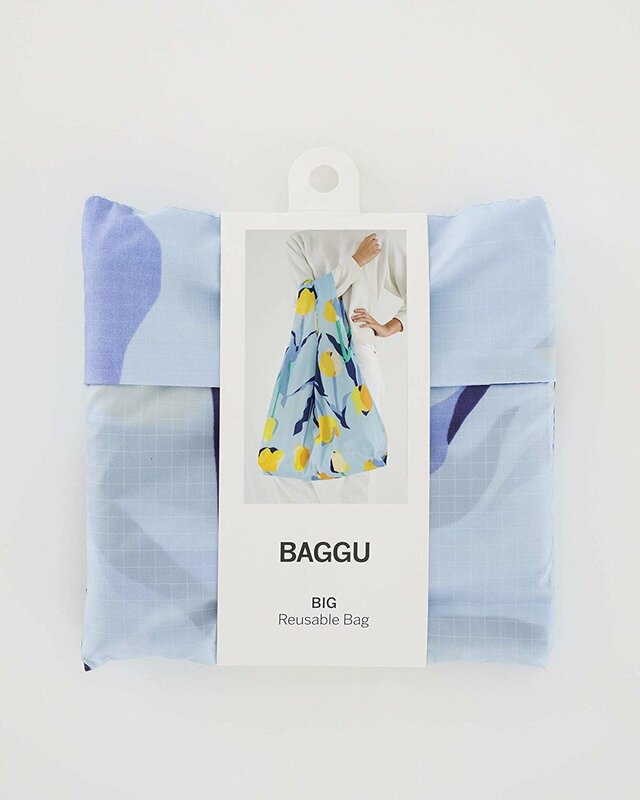 Rather than toting around your shopping haul in a cheap plastic single-use bag, take a reusable shopping bag with you on all your travels. You can use this bag to carry groceries, souvenirs, or anything you might come across along the way. It folds up nice and neatly, so you can easily stash it in your purse, backpack or carry on. These travel bottles are 100% BPA-free, PC-free, and Phthalate-free. The small, medium and large sizes are all TSA carry-on approved! There is no greater frustration than arriving at the airport and having to repack your liquids! The silicone bottles are easy to squeeze, and their wide mouths make them easy to refill. The GoToob+ bottles feature a “loop lock” making them impossible to accidentally open - reducing the risk of spillage.